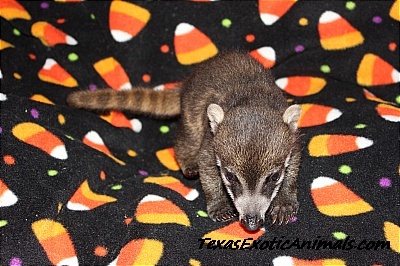 HAPPY HALLOWEEN from the Coatikids! 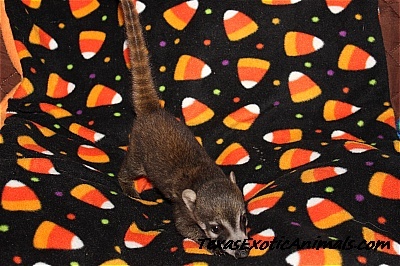 Do you want a Coati trick or do you wanna give me Coati treat? 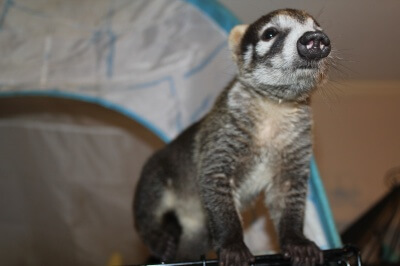 GGGGRRRRRRRRR, this is my coati scare face, are you scared yet? I’M THE BOSS OF YOU! 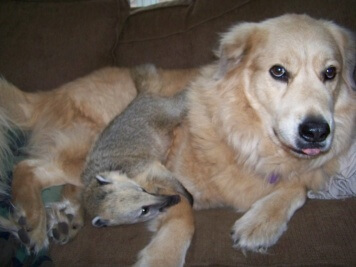 I am I am…I’m bigger and smarter than any ole Coati..So there…BTW, for your information I can chase big boy lucky up a tree anytime I wanna. Be Ascared…..Nay Nanny Nay Nay….Raspberries to you and yours! 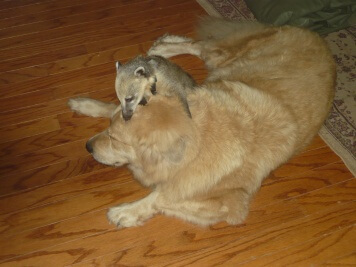 I’m the King of the Coatis! Author ThornPosted on March 27, 2011 May 24, 2017 Categories The Guest House1 Comment on Who’s the Boss? My name is Jack. I am proud to say I am a Great Pyrenees (mixed) and a cerified full pedigree pound pup! I am the most loved and adored of all the family members of this house. CoatiMom often calls me the man of the house. I am old and set in my ways. This is my house! 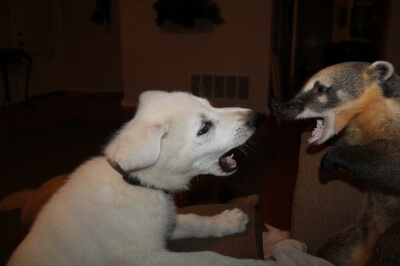 I share it with my little sister Sable (that is a topic for another blog all together) and apparently four crazy flying moneky type critters called Coatis….They irritate me sumthin awful sometimes. The nice gentleman that I am, I do love all creatures big and small, but most of all Coati Mom and CoatiDad. I have been around longer than everyone! I guess it’s up to me to teach some respect to everyone. It’s not easy living with a large family. Even thought we are all adopted and different, no matter what color, size shape or even species, we love each other. Sometimes it’s just good to be me! 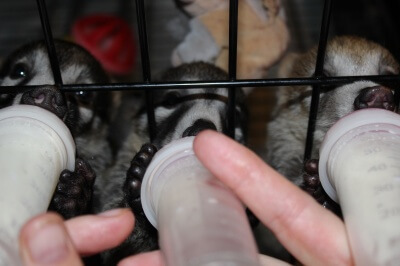 From time to time I get to babysit or foster care for other coatis. It’s always a joy having a new baby in the house. 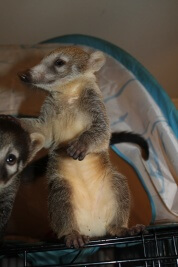 Coati Daddy loves it because I can have all the baby coatis I want without the expense of long term. If it where up to me I would buy a million acres and run my own Zoo! 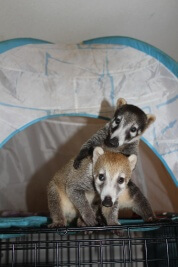 Here’s a few pics of some of the beautiful babies that have had a sleep over with The Coatikids…..